I’ve recently had the pleasure of presenting on SharePoint 2013′s new search functionality. 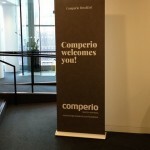 First at The NY Enterprise Search User Group, kindly organized by Arcovis, then last week in a webinar with Axceler, and in between internally here at Comperio. While researching, talking about, and listening on what people say about search in SharePoint 2013, I’ve noticed two major themes. …and while this is certainly true, it’s also not even close to the full story. Search in SharePoint 2013 is a completely new technology, unparalleled in the Microsoft world. The actual index is fundamentally different, boosting better performance by using in-memory technology and even being atomic! A few years back, FAST technology was sold and marketed by technical things like linear scaling, content processing power, and low search times. That’s light years away from what excites people about search in SharePoint 2013. Quite the contrary, the web is full of people buzzing about the actual search experience. How the default search center looks cleaner. How well document previews are integrated. That the addition of automatic search analytics makes relevance calculation… wait for it… self-learning! And so on. I can’t help but think — actually I’m hoping — that this marks a shift in how people think about search: that it’s not defined by the internal technicalities, but the user experiences we can build on top of it. And while UX is arguably one of the most important factors of a search solution, I’ll always have a weak spot for what’s actually going on under the hood. So if you’re like me, check out the presentation below! 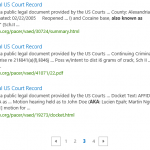 Examining the new search core in SharePoint 2013 from Comperio – Search Matters.